The convergence of technology and the rise of social media is changing the ICT landscape. Business models are evolving, driving data usage. 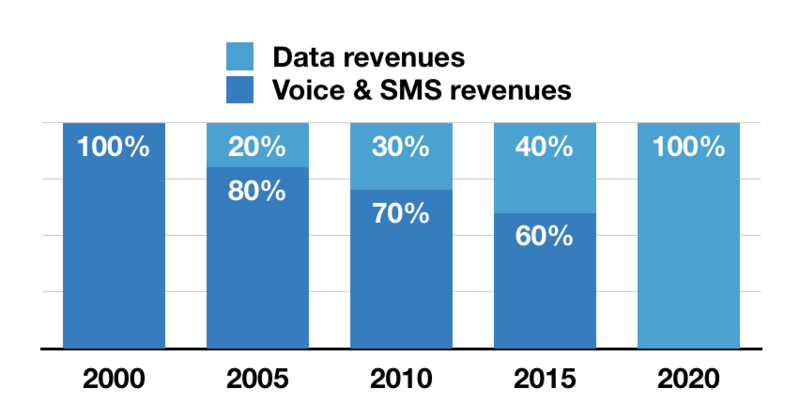 We predict that OTTs will replace regular voice and SMS services in the near future. As demand for data skyrockets, new business models are being tested and innovative products with new pricing models are being launched into the market. For the last three years, we have been focused on articulating a new business model to profitably connect everyone within mobile coverage to the Internet. We’ve published multiple papers in peer-reviewed journals on Universal Basic Internet and next generation business models. We were one of the finalists in the Mozilla Equal Rating Innovation Challenge, a competition to find the best way to provide access to all. Working on the business model for Universal Basic Internet helped us realise that there is a need for a systematic, rigorous but simple way to collect and analyse data, especially in emerging markets. Over the last few years, we have launched products targeting the intersection between government, the private sector and international organisations. These tools enable our clients to make decisions faster and more accurately.